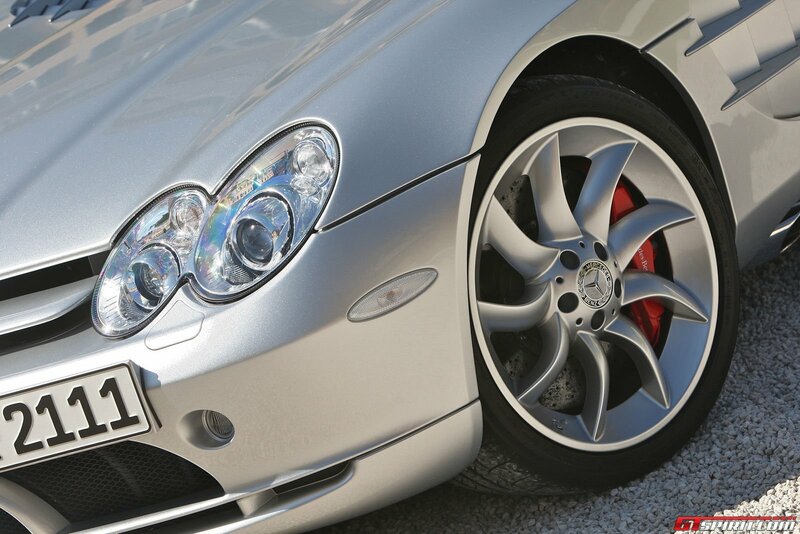 In the world of supercars, where image and presence are everything, the Mercedes SLR McLaren Roadster has the role of consummate drama queen perfectly nailed. 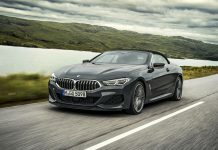 The rolling thunder soundtrack from its supercharged V8 motor, amplified by its four side exhaust pipes, announces its impending arrival like a fanfare complete with drum rolls. Heads swivel, seeking the source. Then eyeballs pop and jaws drop as the sleek silver arrow hoves into view, like a jet fighter making a low pass. If you stop in a quiet area, pulling up and cutting the SLR’s motor leaves a shattering silence hanging in the air. Then the high drama continues on a visual note when the occupants swing open the butterfly doors and alight. Now it is time for ordinary folks to inspect this low flying machine up close and personal. The beauty or beast debate is overpowered by the SLR’s wide stance and rakish demeanour exuding a presence that commands attention. This is one car that looks like it will take no prisoners. 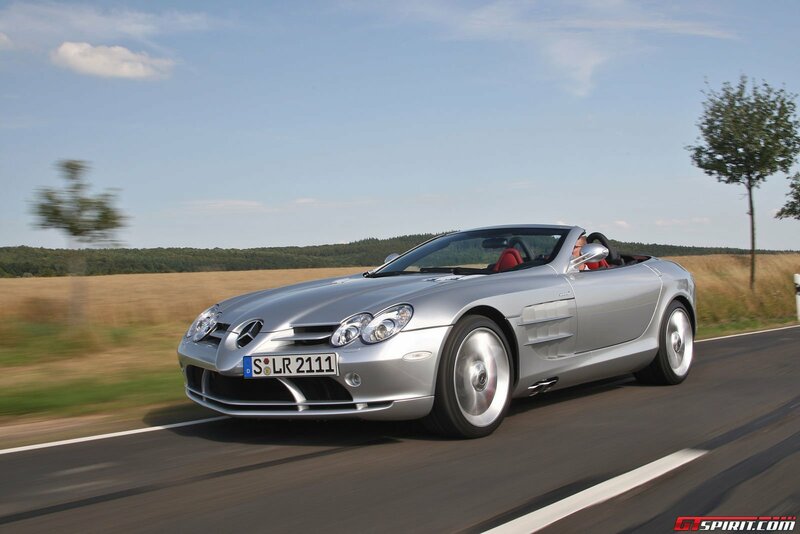 When the SLR was launched in late 2003, we were told that 3,500 cars would be made over seven years. By the halfway point in its life cycle, only around 1,400 had found homes. That said, while all 150 of the limited 722 Edition model launched in 2006 were quickly snapped up, to be brutally honest, this was what the basic SLR should have been like all along. Roadsters are more desirable and can command a higher price, which translates into more profit. 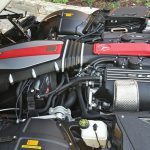 The reality however, was that when the development programme started in 1999, the technology simply did not exist to make a 200mph Roadster to the roll-over safety standards that Mercedes-Benz required. 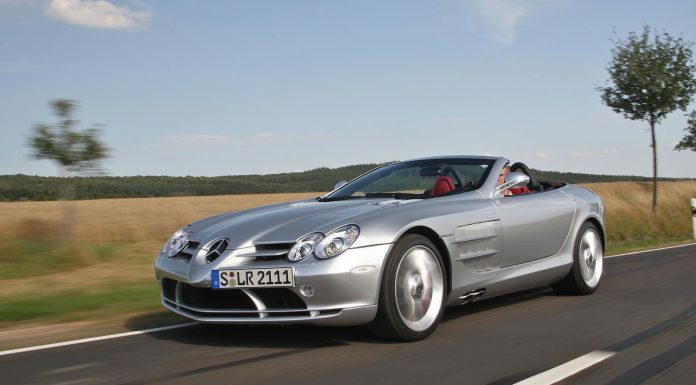 And so the people were denied the better looking and more desirable version of the SLR. 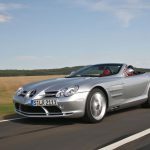 Slow sales made Mercedes-McLaren realise that, and when more advanced computer technology finally enabled them to strengthen the front windscreen frame enough to protect occupants in a roll-over crash, the gloves were off and the SLR Roadster programme was a go. 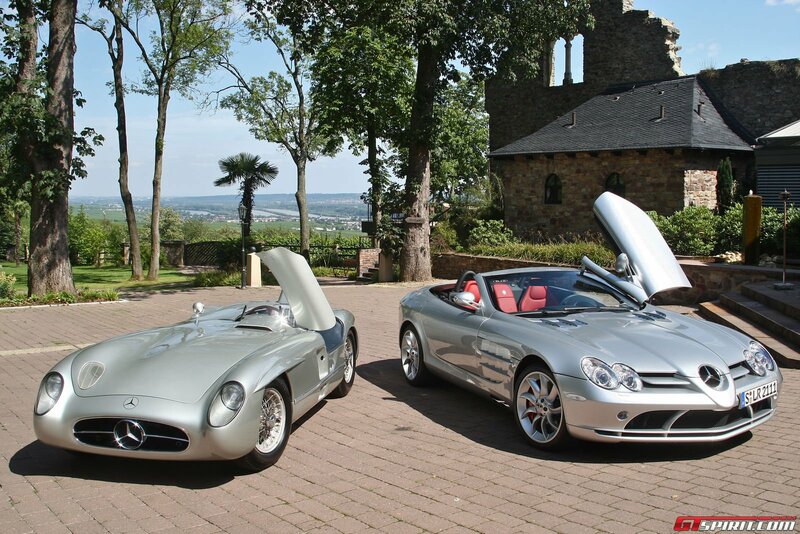 Many cars look better as roadsters and the SLR is undoubtedly one of them. 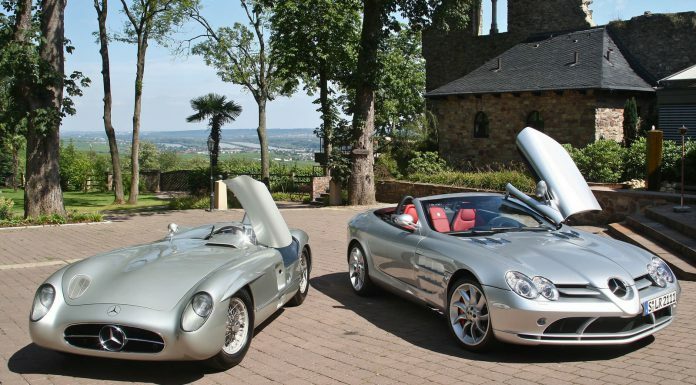 The Vision SLR Roadster concept car was by far the more attractive of the concept pair unveiled in 1999, so it is no surprise that removing its roof took the production SLR to a different level. 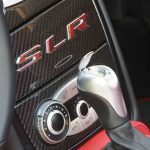 The result was unashamedly the car that potential SLR buyers had wanted all along, and the positive response was such that everyone switched their orders to the Roadster, which retailed for a modest 10 percent more. 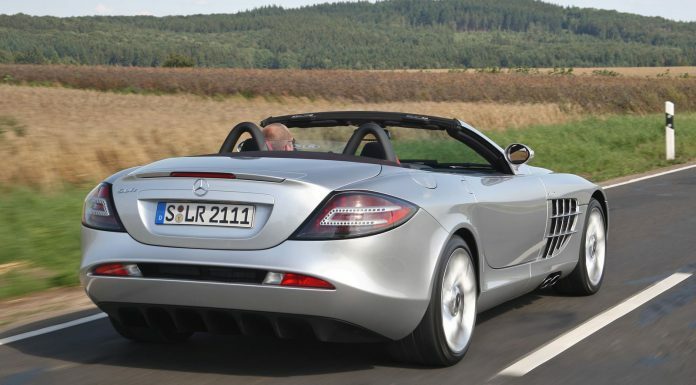 Production of the SLR Coupe stopped in 2007, only the Roadster being made until the end of the line in 2010. 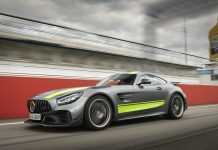 While the marriage of Mercedes-Benz and McLaren worked very well in the totally focused world of Formula One, the idea that led to these two companies working together on a road car was never destined to be a totally happy one. McLaren is about Formula One and winning races, hence their emphasis on lightness and speed. 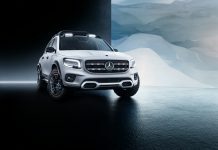 The core values of Mercedes-Benz on the other hand revolve around comfort and ease of driving, which adds weight, the enemy of speed. Thus, from day one, the specification of the Mercedes SLR McLaren militated against the philosophy of lightness and agility espoused by former McLaren design guru, Gordon Murray. 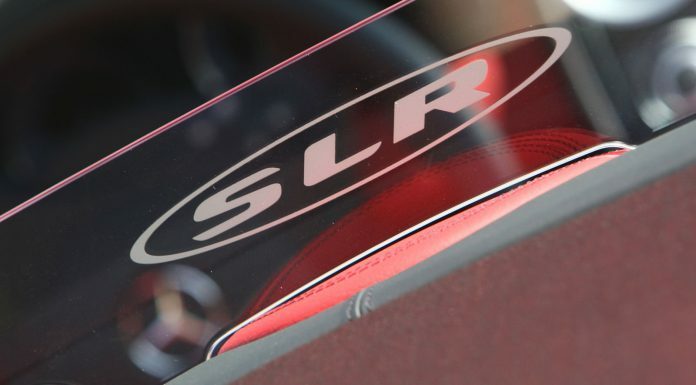 Despite its state-of-the-art carbon-fibre construction, the SLR Coupe tips the scales at a whopping 1,768kg. That is barely 60kg less than a BMW M5 and some 400kg more than kingpin supercars like the Ferrari Enzo and Porsche Carrera GT. That said, the folding roof, its motors and related components add just 56kg more, an all time record for low weight gain in the open version of any car. 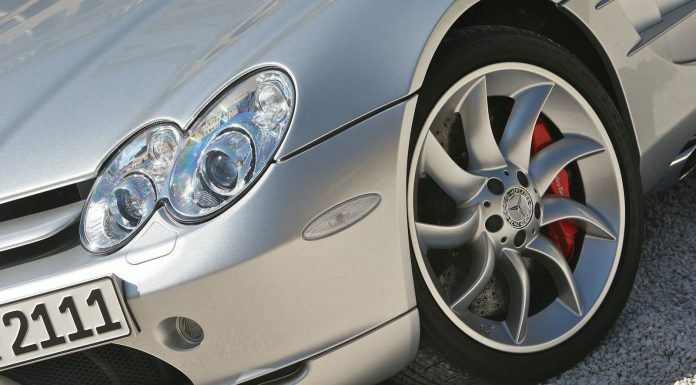 One of the SLR’s strong points is its finish. As you would expect of a car knocking on the door of £330,000 its paintwork is absolutely magnificent and the interior finish beyond criticism. 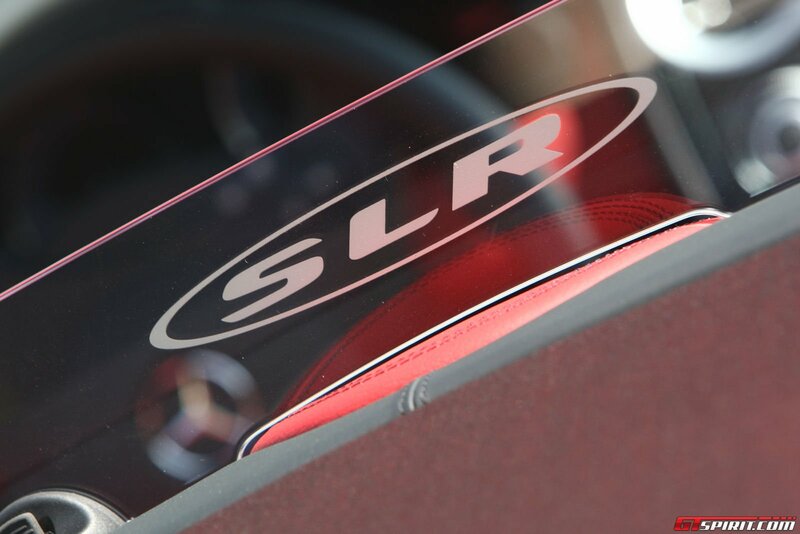 This is something you notice every time you get into an SLR, and is part of what makes it special. 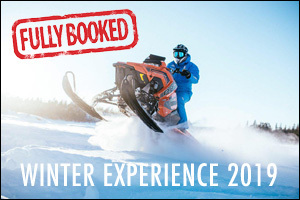 Also special is the way you start the car. 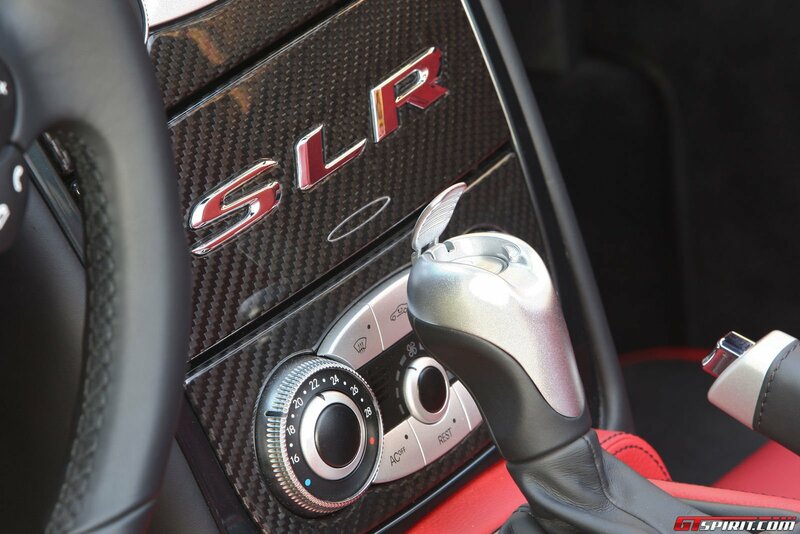 Turn the key in the ignition, flick open the cover on top of the gearshift lever and press the button below. Every time I do this I feel like saying ‘Fox One’ and imagine a Sidewinder missile streaking away! With the roof down, getting in and out is easier. Apart from the usual poor rearward visibility when reversing, it feels very much like you are in the Coupe when the hood is up. 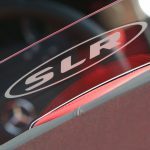 With its high waistline and low seating position, neither SLR variant is a paragon of rearward visibility. 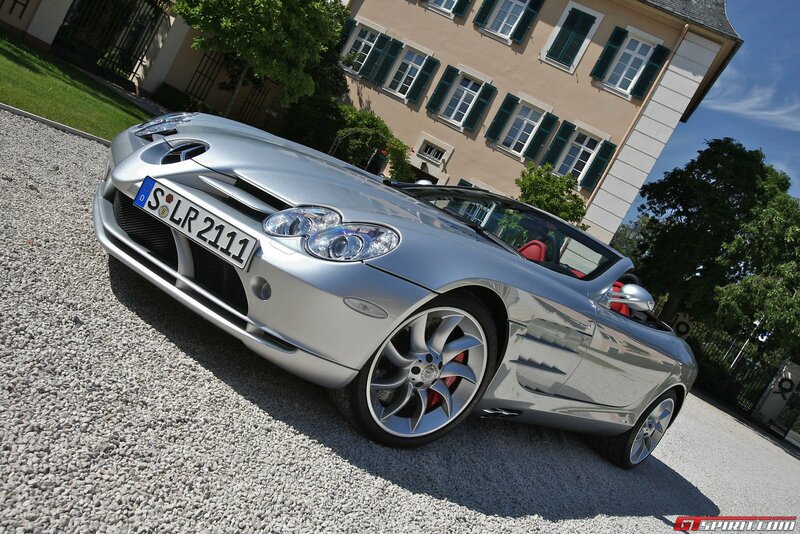 In terms of structural rigidity in an open car, the SLR Roadster is as good as it gets. The carbon-fibre tub, now with special steel tubing bonded into the carbon-fibre A-pillar structure down to floorpan level, confers a torsional stiffness to the structure unchanged from the Coupe. The result is the stiffest open car ever, so scuttle shake or handling compromises do not even enter the equation. 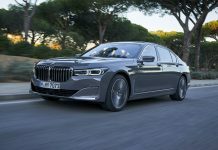 The suspension settings are carried over from the Coupe unchanged, but the increase in kerb weight confers a slightly more compliant ride. Its girth notwithstanding, the SLR is quick. 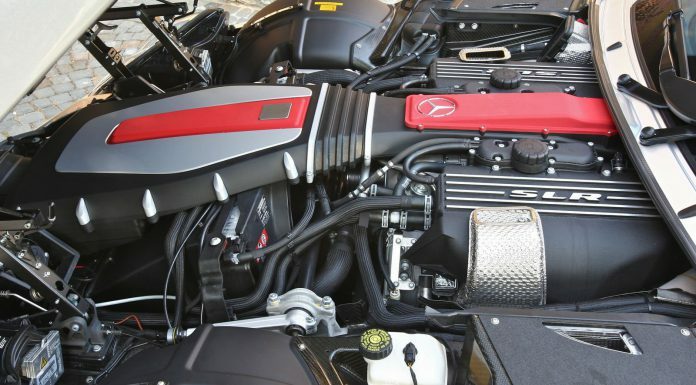 Thanks to its AMG-built supercharged 5.5 litre V8 with 612bhp and 770Nm of torque, the SLR Roadster sprints to 100km/h in 3.8 sec and tops out at 330km/h. 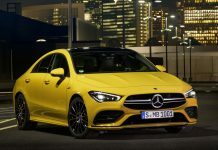 And with its five-speed AMG Speedshift auto working snappily, this performance is repeatable by normal people lacking the finely honed reflexes of an F1 driver. 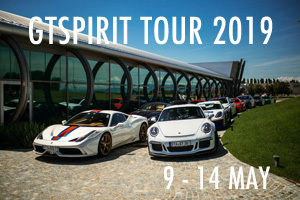 Where it is simply loud in the cosy cabin of the Coupe, the NASCAR-grade V8 soundtrack bouncing off walls and buildings and echoing across the countryside is that much more evocative from behind the wheel of the Roadster. Because of this, the Roadster also courts a different style of driving. Where you just want to spear the horizon in the Coupe, the Roadster encourages a more relaxed approach. Perhaps that is just as well since the SLR per se is a far better proposition for driving quickly on motorways and wide, sweeping country roads. 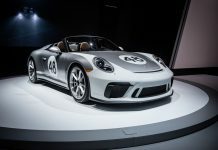 In both physical size and feedback from the helm, it feels cumbersome on the tighter, twisty byways that are the domain of smaller, more agile high performance cars like the Porsche Turbo. 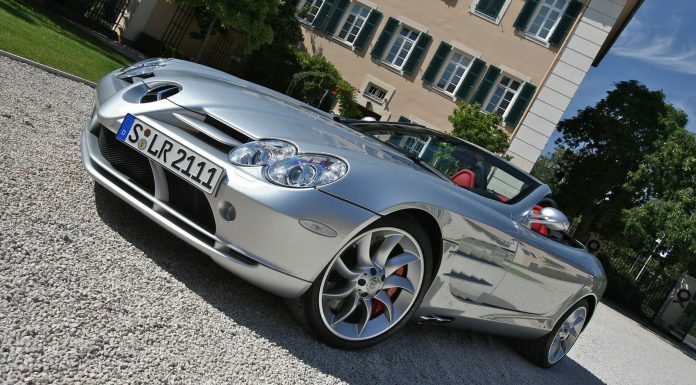 That said, driving an SLR is always accompanied by a sense of occasion, and that feeling is heightened in the Roadster. Where the Coupe looks like a machine for doing mortal combat in, the Roadster is a car that you want to get in and drive for fun rather than to set a lap record in. Because of that, much of the intimidation factor evaporates. 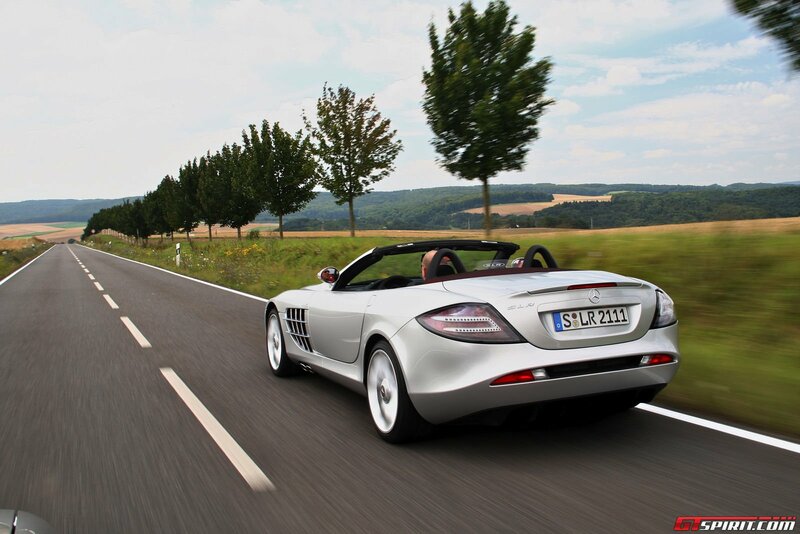 The SLR goes like a bat out of hell in a straight line. Push the throttle to its stops and the supercharged motor provides relentless thrust with impressive stability at speed. 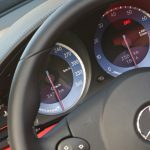 The crowded autobahns near Frankfurt did not allow progress over 250km/h on the day, but earlier in the year, I reached an indicated 335km/h in the more powerful SLR 722, at which point it was still pulling. 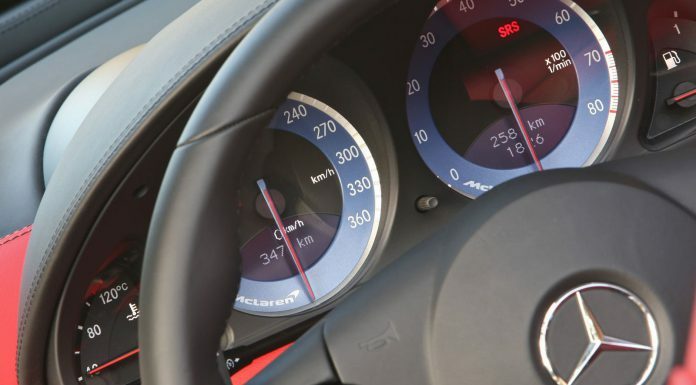 With 650bhp and the automatic transmission, this speed is ridiculously easy to achieve on a long straight road. The roof fabric itself is a thing of beauty, which it ought to be on a car of this price. Rather than just making it out of a single coloured material, the designers opted to mix flecks of a second colour in with the basic black. There are three to choose from, including black. The folded roof sits flush with the rear deck, and around it, the rear wings, deck and bootlid are all bespoke Roadster components. Complete with a heated glass rear screen, the roof features five outer layers and two layers of insulation. It is very rigid and stable thanks to a hybrid construction using an aluminium centre panel for stability at over 300km/h. With the small Perspex wind deflector between the seats doing its job nicely, cruising draught-free between 120 and 190km/h is a natural condition. Above 250km/h however, things start to get a bit breezy, but by that time you are going too fast to enjoy your surroundings anyway. And at any speed, just as the engineers promised, there is no sign of scuttle shake over bumps. You come closer to sitting over the rear wheels than in most sports cars, and this unconventional placement gives you a slightly weird feeling when you turn into a bend. Your seating position and the forward centre of rotation of the chassis delivers a pendulum sensation that is initially disconcerting. Driving roof down in the Roadster, the fact that you are so much more in touch with the dynamics of the car and its environment seems to accentuate this feeling. 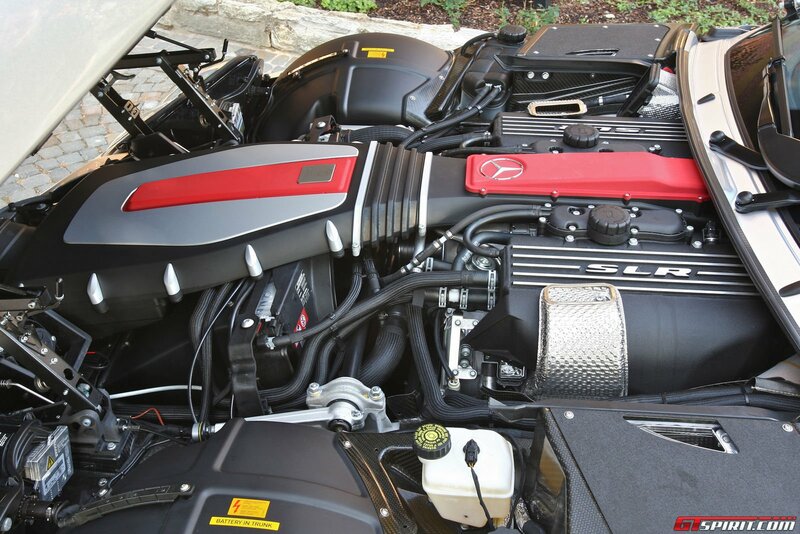 Like the Coupe, the Roadster’s power steering is heavy and curiously inert. Yet despite this, the wheel can weave gently in your hands as the massive front tyres chase bumpy cambers, especially under hard braking. This is a dichotomy that the engineers never resolved. 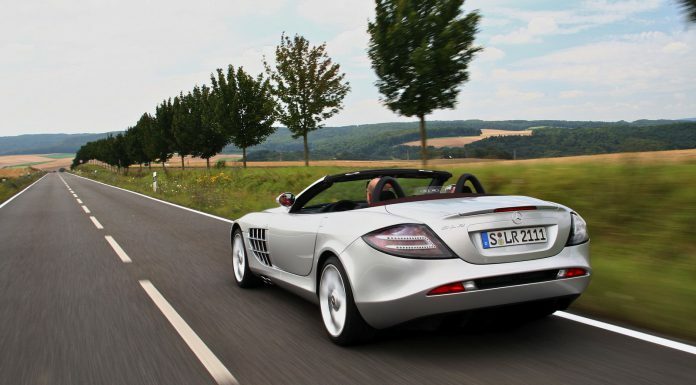 When all is said and done, like its Coupe sister, the SLR Roadster is a flawed diamond. But its raison d’etre benefits hugely from the distraction of the al fresco element. 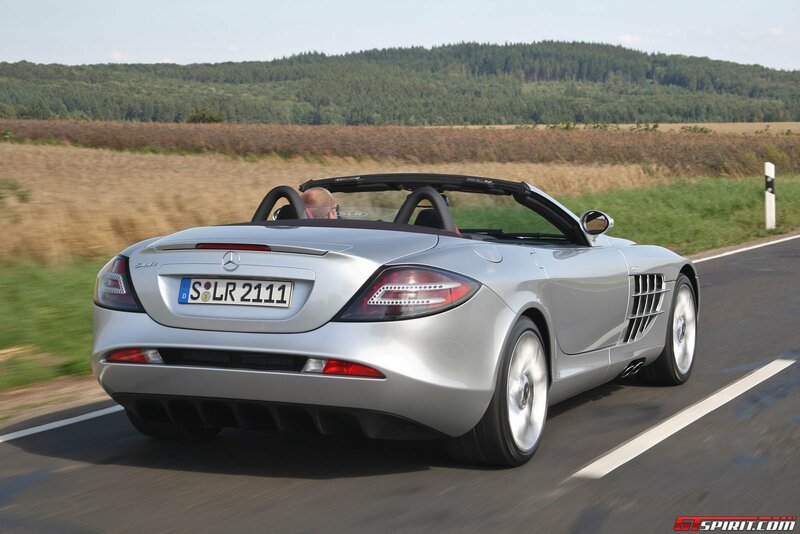 Roof down, the SLR Roadster is a genuine looker, enriched by the more visceral experience of top down motoring. 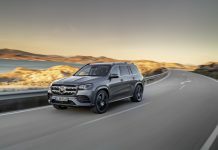 But its heavy and rather inert steering and less than totally engaging chassis will always mark it down as a compromise that is not quite Mercedes and not quite McLaren.